The Gales is a new Vancouver Island real estate development set atop a hillside in the small town of Ladysmith. The luxury townhomes and condos at The Gales offer panoramic ocean and mountain views and tremendous opportunities to enjoy an idyllic Vancouver Island lifestyle. 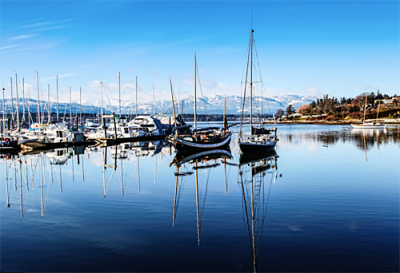 The community of Ladysmith provides year-round outdoor activities and adventures, along with one of Canada's most temperate climates. New homes at The Gales range in price from $499,000 to $599,000. You'll be blown away by the views at The Gales, so contact Realtor Keith Mazurenko at Coast Realty for more information. Whether you're moving, relocating, or storing vehicles, machinery and office equipment, AA Mini Storage in Nanaimo has the solution for your storage needs! Nanaimo's AA Mini Storage features a variety of self-storage options for businesses and households, including vehicle and RV storage, heated units, and drive-up storage units. These Nanaimo self-storage rental units range from 5x5x5 to 20x30, so you’ll find the perfect spot to store almost anything, including furniture, household items, business equipment, house contents, boats, vehicles, and RVs. The Comox Valley’s newest patio-home development, Railside Lane, is located at 1620 Piercy Avenue in the heart of Courtenay on Vancouver Island. Ten new homes on Piercy Avenue have been completed, and two of the ten units are sold. Railside Lane, by McQueen Construction, features 10 new patio homes, built in two buildings with four linked homes and two additional buildings. 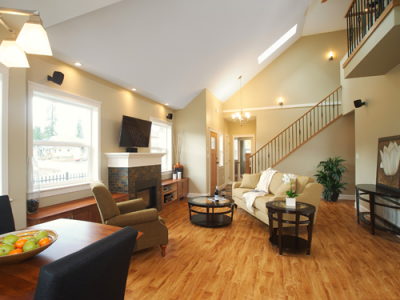 Floor plans range in size from 1,272 to 1,660 square feet and include two or three bedrooms. The patio homes at Railside Lane feature hardwood floors, heated-tile en suite floors, custom lighting, and window blinds. 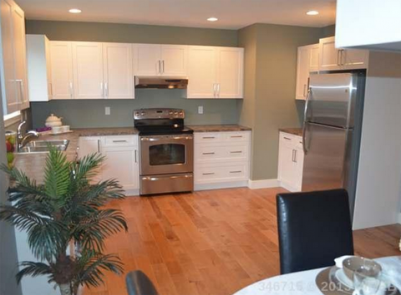 Homes also include garages and additional driveway parking. Prices range from $249,900 to $259,900, including blinds and appliances. Open houses are held Saturdays from 1:00 p.m. to 3:00 p.m. For more information, contact Scott Fraser PREC of Royal LePage at 250.334.3124. Bonnington Ridge at Fairwinds Community & Resort currently has three stunning residential view lots for sale, starting at $229,000. Dream home, vacation home, retirement haven — no matter what you’re seeking, these Vancouver Island golf-course lots are picture perfect for a new custom home. All three residential building lots are on a quiet cul-de-sac, some with ocean views, and are located a short walk from Fairwinds Centre. A fourth lot for sale at Fairwinds is located nearby at Bonnington Heights and listed at $159,000. The golf resort community of Fairwinds covers about 1,350 acres of lush countryside, with an abundance of wildlife surrounding its natural landscapes. Just 15 minutes away from Nanaimo and Parksville, on the east side of Vancouver Island, Fairwinds offers one of the best climates in Canada. The homes in this master-planned West Coast community integrate fine living with the natural beauty and tranquility of the area. 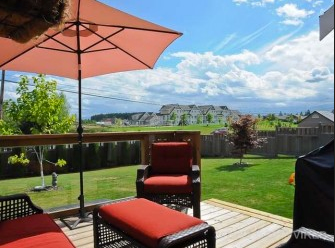 The Fairwinds community in Nanoose Bay also offers patio homes for sale in Rockcliffe Park. These distinctive luxury Vancouver Island homes feature fine-quality craftsmanship and award-winning interior designs that combine timeless elegance with the best in modern finishes. Homes at Rockcliffe Park range from $595,000 to $659,000. Rockcliffe Park has an open house every day from 12:00 p.m. to 5:00 p.m.
send a message using the "Send Message" button below. Campbell River Commercial Realtor Bruce Carruthers, with Remax Check Realty, has a number of commercial properties for sale and lease in Campbell River. One listing, at 1841 Island Highway in Campbell River North, is currently priced at $269,900 and also available for lease. This .136 acre property in Campbell River houses a single-storey 3,264 square-foot commercial building with a shop, sales office, and parts and display area. Located across from the Husky station, 1841 Island Highway offers lane access and is heated with natural gas. A new roof was installed eight years ago, and the adjoining lot is also for sale. 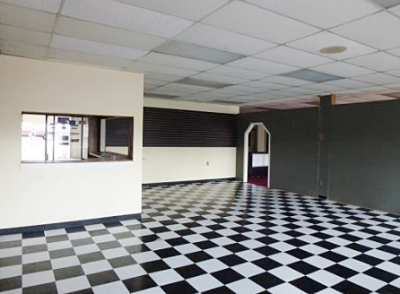 For more information on this Campbell River commercial property for sale, or to find the right property for your business, contact Campbell River Realtor Bruce Carruthers at Remax Check Realty. Bruce has been a resident of Campbell River for more than 40 years and a licensed realtor for over 25 years. He handles commercial real estate listings in Campbell River, Campbellton, Willow Point, and other areas of the city, as well as Black Creek, Saratoga Beach and Merville. 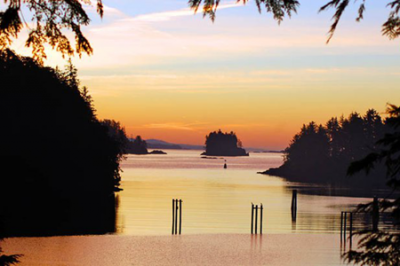 Your own waterfront vacation home is within reach at Reef Point Cottages in Ucluelet! The resort currently has a private waterfront cottage for sale: a low-maintenance 956 square-foot home with two bedrooms and two bathrooms. Luxury touches in this waterfront home include teak, marble, and slate flooring; granite countertops; and pine wainscotting and ceilings. Curl up by the fireplace on stormy nights or bask in your private hot tub on the oversized covered deck overlooking Spring Cove. Unit 273 is competitively priced at $279,000. This Ucluelet vacation cottage for sale is part of the Reef Point Cottages rental program, and the owner is entitled to six months of personal use per year. 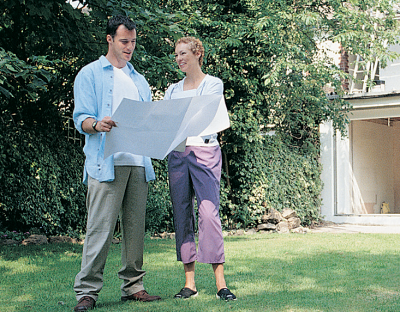 Cottage owners can also leave their vacation home in the rental program full-time and earn revenue with this hassle-free investment. Did you know you can own a new three-bedroom Comox Valley home for well under $200,000 at Woodcote Mews in Courtenay? Prices of the final three remaining units at the Woodcote Mews townhome development have been lowered to only $189,900. These new homes offer the opportunity to choose your own paint colours and finishes, yet still move into your new three-bedroom Comox Valley home within a month. Seventeen of these 1,320 square-foot duplex homes on Cumberland Road in Courtenay have already been sold. The remaining three townhomes have all been completed to lock-up, ready for finishing to the buyer's specifications. The developer will complete the interiors of the units based on the new owners' selected colour schemes. Woodcote Mews has been popular with young families, empty nesters, and those looking for a Vancouver Island vacation home. These new Vancouver Island duplex homes feature a spacious layout, with three bedrooms and two bathrooms. Each townhome is finished with a quality appliance package including a refrigerator, stove, dishwasher, washer, and dryer. 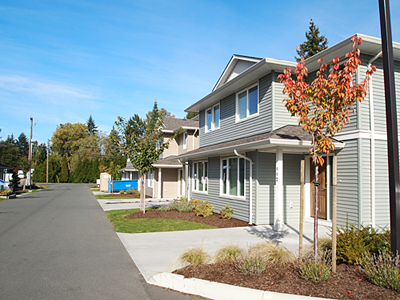 A small private yard is at the back of every unit, and there is a common outside area for all residents to enjoy. For more information, contact Scott Fraser PREC of Royal LePage at 250.334.3124. Double A Safety Services supports the Vancouver Island construction industry by helping businesses maintain and energize the integrity of their safety programs. Based in Campbell River on Vancouver Island, Double A Safety Services brings experience in workplace safety from large and small construction projects to help companies of all sizes with safety training, evaluation, development, safety documentation and due diligence procedures. Double A Safety Services will work with you to ensure that your company’s complete documentation requirements are met for BC Construction Safety Alliance (COR) and Occupational Health & Safety (OH&S) compliance. In addition, Double A Safety Services offers safe work practice development to industry best practices, incident investigation, workplace safety inspection services, HSE safety manual development, and claims management to support your company in getting work done efficiently and safely. Providing a safe workplace saves time, money, and, most importantly, workers’ lives. Double A Safety Services will work with your business to develop a health and safety program that meets best industry standards. Call them today for a free consultation at 250.914.4699. 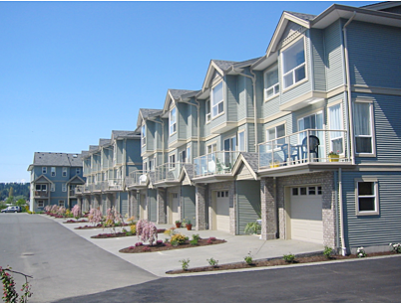 The Ridge is a new real estate development located in Courtenay on Vancouver Island. The first new home in this master-planned residential community is now under construction in Phase I. The Ridge will be developed in several phases, with the first phase containing 69 lots. This modern, sustainable real estate development will feature 230 single-family residential building lots – some with lane access – zoned to allow carriage homes, workshops, and secondary suites. There are also lots for duplexes and patio homes. Lots at The Ridge range in size from 7,000 to 12,000 square feet. Lots start at $169,900; view the interactive site map here. For more information, call 250.650.8588, visit their website, or use the "send message" button below. 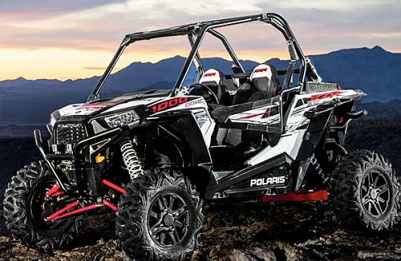 WesternOne, a one-stop shop in the Comox Valley for tool and equipment rentals and sales, is also North Vancouver Island’s only authorized Polaris ATV and Ranger/RZR Utility Vehicles dealer. Serving Courtenay, Campbell River, Port Alberni, the North Island, and the Sunshine Coast, WesternOne is the only place on Vancouver Island where you can buy Canada’s best-selling ATV. WesternOne's Comox location has Polaris factory-trained and certified technicians on hand for any ATV parts and servicing needs. As Vancouver Island’s only Ranger/RZR dealer, WesternOne is committed to providing the same great customer service for their ATV sales and service as they do for their Comox Valley equipment rentals. WesternOne also rents, sells, and services scissor lifts and aerial lifts; generators; air tools; concrete equipment; and forklifts on Vancouver Island, from both their Comox location and their new Courtenay location on Moray Avenue. And, if you’re in the market for a new ATV, come for a test drive! Why buy a new home at The Ridge at RiversEdge? 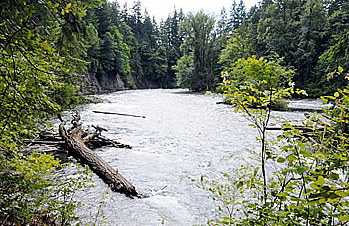 This new riverfront home development in Courtenay is perfectly situated on the southwest side of the Puntledge River. Residents are surrounded by nature at its finest, just a few steps away from the beautiful walking and biking trails along Arden Greenway and Puntledge Park. "Southwind Developments Corporation is the only company in the Comox Valley that controls its entire development and building process from start to finish," says Courtenay Realtor Art Meyer, project realtor. "For projects that Southwind undertakes, they buy the raw land, service it, build the homes, and warranty each home for 10 years. You know precisely what your neighbourhood will look like. That’s the secret to Southwind’s success." The owners of Southwind Homes actually live at RiversEdge. When the developers live in a neighbourhood, you can feel secure knowing they'll be there for all and any issues that arise during the 10-year warranty period. The Ridge at RiversEdge is a private property consisting of 24 homes, with the street and streetlights being the only common areas. The Ridge is a preplanned single-family neighbourhood on private property on a no-through street where all homes are single-level ranchers, so there will be no two-storey homes looking down on your property. In addition, you'll never have a neighbour in your back yard. Your investment is protected by a sensible registered Homeowner Schedule of Restrictions designed to enhance the quality of life and increase the future value of your home. In addition, the new ranchers at The Ridge at RiversEdge are the lowest-priced new homes anywhere in the Comox Valley. Considering the quality of workmanship and materials, Southwind provides the very best products for your money, says Meyers. Your RiversEdge Specialist is Realtor Art Meyers of Royal of LePage in the Comox Valley. Call him today at 250.207.1879. Campbell River Realtor Jenna Schoock's featured home for sale is an incredible oceanfront property in Campbell River on Vancouver Island. Breathtaking views of Seymour Narrows await when you step through the door of this walk-on waterfront home at 5462 Race Point Road in Campbell River, BC. three-car garage with a pit for working on vehicles. Priced at $769,950, 5462 Race Point Road in Campbell River represents quintessential West Coast living. To learn more about this home, call Campbell River Realtor Jenna Schoock at 250.287.2000 (cell) or toll-free at 1.800.563.7322. Are you wondering whether your business qualifies for Canada’s Scientific Research and Experimental Development (SR&ED) program benefits? Canada’s Scientific Research and Experimental Development (SR&ED) program is a federal tax incentive program designed to encourage technological development by offering a substantial rebate on every research dollar spent. If you’re a Vancouver Island company pursuing business innovations, technical modernization, or other improvements, Island SRED in Qualicum Beach can help cut through the clutter to ensure you get the most for every research dollar you spend. How does the process work? Island SRED provides a free consultation to determine whether your company qualifies for SR&ED program benefits. If you do, they then work with you to complete the paperwork and submit it to the government on your behalf. There is no charge for their services until the claim is approved and you receive your government rebate. Vancouver Island companies can apply for SR&ED investment tax credits for expenditures such as wages, materials, machinery, equipment, some overhead, and SR&ED contracts. Island SRED works with all sorts of clients in many different industries and is highly thought of in the SRED industry. Their well-rounded team of full-time professionals in taxation, accounting, science, and engineering offers personalized service tailored to your company’s needs and goals. Island SRED's sister company, Incentive Access Group, supplies SR&ED services to clients in British Columbia and Alberta. Together, Island SRED and Incentive Access Group have helped 270 satisfied clients file more than 600 SR&ED claims for projects during the last year. Why not join them? Contact Island SRED today to find out how to earn tax rebates on your research dollars! Do you need a reliable electrician on Vancouver Island? Call the experts at Tilley Electrical Contracting Inc. for quality completion of your electrical contracting jobs. Serving the Comox Valley and Vancouver Island for more than 10 years, these electricians specialize in controls, communications, and residential and commercial wiring. Tilley Electrical's specialties include residential and commercial wiring, light industrial, renovations, and new construction. Choosing Tilley Electrical Contracting for your electrical needs means punctual quality service; knowledgeable electrical technicians; and reasonable rates. 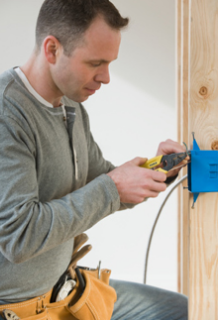 They also offer 24-hour emergency electrician services in the Comox Valley. Their commitment is to provide quality service and dependability to their customers at competitive prices. Call Tilley Electrical at 250.331.1844 for 24-hour emergency service or to schedule an appointment. Free estimates are always available. Outlook Land Design Inc., a civil engineering and landscape architecture consulting firm in the Comox Valley, has been serving Vancouver Island since 1999. Firm principal Tim O’Brien, P.Eng., MCBSLA, is a professional civil engineer and registered landscape architect with over 25 years of design and construction experience. Civil engineers have traditionally shaped cities and regions, largely content to leave art, architecture, and ecology to landscape architects. Outlook Land Design specializes in integrating these disciplines for a harmonious environment that blends the best of both worlds. Civil, or municipal, engineering services provided by Outlook Land Design include specifying, designing, and constructing civic infrastructure such as parking lots, sidewalks, water supply networks, sewers, street lighting, public parks, and bicycle paths. Outlook Land Design’s landscape architecture solutions embody designing outdoor and public spaces to integrate environmental, socio-behavioural, and aesthetic components. The scope of their work encompasses urban design, site planning, town or urban planning, environmental restoration, parks and recreation planning, visual resource management, and green infrastructure planning. Previous clients include provincial and municipal parks, schools, college campuses, resorts, multi-family housing projects, and public institutions. Not only does Outlook Land Design Inc. provide civil engineering services, but the company also works for private-sector developers, LEED projects, and local government services. 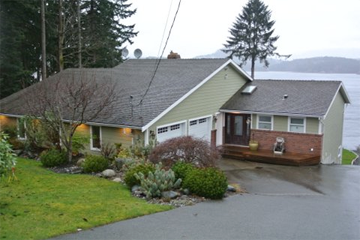 For a comprehensive description of what they have to offer, visit their website or call Tim O’Brien at 250.339.5222. Comox Valley Realtor Tina Vincent, PREC, is dedicated to finding you a home, vacation property, or investment property on Vancouver Island. As your Comox Valley Connection, Tina uses her real-estate expertise and knowledge of home construction to assist Vancouver Island buyers and sellers in the Comox Valley, Courtenay, Comox, Cumberland, Parksville, Qualicum Beach, and Campbell River. close to all schools, shopping, and walking trails. Priced at $459,900, this amazing home won't last long. For an online tour of 2099 Evans Place, click here. For more information on this listing, call Tina Vincent, PREC, Comox Valley Realtor, at 250.792.2776. You can view Tina's other Vancouver Island listings on her website. Enjoy lower monthly energy bills by thinking about energy efficiency before and during the construction process of building your new home. Although it may seem an initial added expense, you'll reap the benefits of lower utility bills almost immediately. Even if you increase your mortgage to increase your home's energy efficiency, your monthly bills can still be lower than with less-expensive construction options. Vancouver Island's Certified Energy Advisors at Elemental Energy Advisors can guide owner-builders and Vancouver Island new-home builders through building a more energy-efficient home. In addition, they can help you achieve an EnerGuide rating for your home that earns rebates of $2,000 or more. Elemental Energy Advisors can work with builders to review house plans before construction to suggest ways to build a more energy-efficient home, as well as review heating and hot-water options. They provide a projected EnerGuide rating for a home and complete a building-envelope test once the home is complete. A typical new home will qualify for the minimum rating of EnerGuide 80, which is required for the incentives, Get an EnerGuide rating for your new Vancouver Island home, save money on energy costs, and put money back in your pocket with help from the Certified Energy Advisors at Elemental Energy Advisors, Cristi & Kate. Building an energy-efficient home saves you money now and adds value to your home the day you decide to sell. Christi Sacht has had several requests for another Air Leakage Demonstration and Energy Efficiency Workshop. If you're interested, please email her at cristi@elementalenergyadvisors.ca. Education is power, and educating ourselves on energy efficiency is good for all of us, particularly the environment! If you’re buying or selling real estate in Campbell River on Vancouver Island, be sure to call Campbell River Realtor Jenna Schoock (née Nichol) of Coast Realty Group! Jenna enjoys working with Campbell River real estate buyers and sellers in all age groups, but has a special affinity for helping seniors with their real estate needs. Jenna’s ardor for Campbell River is matched by the dedication she brings to her career as a realtor. 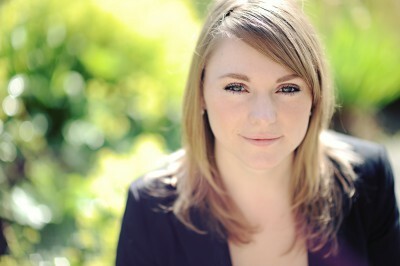 Clients can attest to Jenna’s mastery of Campbell River real estate. “Jenna’s enthusiasm for real estate is equalled by her determination to give back to the community of Campbell River. If you’re considering buying or selling in our marketplace, Jenna will be a perfect fit,” says one satisfied client. A great way to start your search for a Campbell River patio home, townhouse, vacation property, or residential lot is to sign up for Jenna's Private Client Services™. With this complimentary service, you’ll receive automatic email updates on listings that meet your real estate search criteria. Register online or give Campbell River Realtor Jenna Schoock a call at 250.287.2000 (mobile) or 1.800.563.7322. She’ll be happy to set it up for you! You can also follow her on Facebook and Twitter. United Carpets in the Comox Valley Has Changed Its Name to United Floors - Same Competitive Pricing, Same Great Service! United Carpet in the Comox Valley is now United Floors, but everything else remains the same: same competitive pricing and same great service! 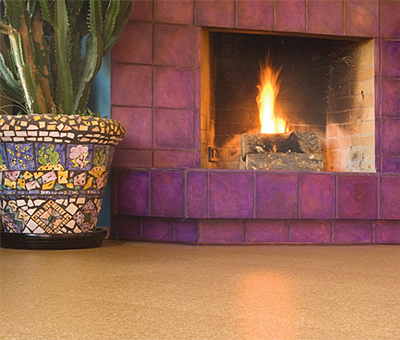 United Floors offers a wide selection of flooring to suit any need, including carpet, vinyl, laminate, hardwood, cork, ceramic, and area rugs. 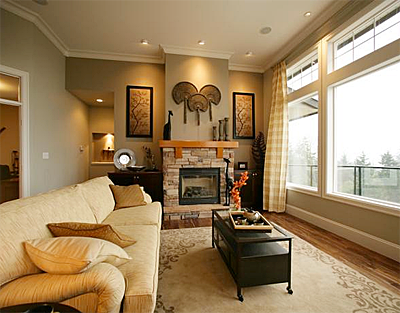 The Campbell River location also offers blinds and custom draperies. The experienced sales associates at United Floors will help you choose the perfect flooring or window coverings for your home. United Floors also offers comprehensive information on installation, stain removal, and maintenance, in store or online. ​Be sure to check out their Fall Flyer Sales Event, on from September 26 to October 6, 2013, as well as their 25 Bonus Air Miles offer! If you're a Vancouver Island homeowner or business needing residential or commercial plumbing, heating, or gas installation, turn to Archer Mechanical in the Comox Valley. 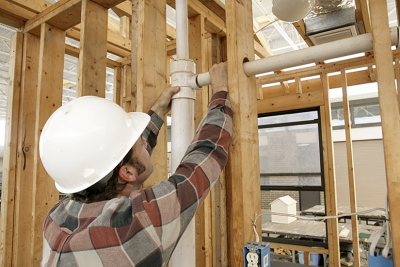 With just one phone call, Archer Mechanical provides plumbing, heating, gas, and complete mechanical installation packages for residential and commercial construction projects in Parksville, Qualicum, the Comox Valley, and Campbell River. Archer Mechanical also provides fire protection and sheet-metal services. Archer Mechanical's proprietor, Matt Archer, is an honest tradesman with integrity who believes in the strength of a community comprised of like-minded individuals. Established in May 2009, Archer Mechanical “takes pride in everything they do.” They offer competitive rates and discounts on multiple contracts. Doing their part to build green, Archer Mechanical installs high-efficiency equipment like Rinnai condensing tankless water heaters. 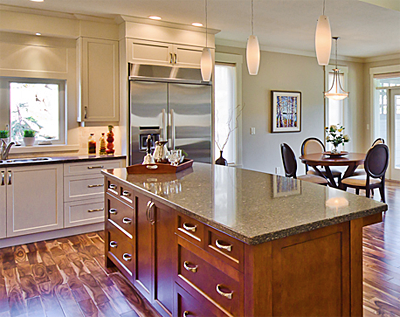 Whether you're building, renovating, or repairing on Vancouver Island, contact Archer Mechanical at 250.331.3115. Residential lots and new custom homes are selling at Stone Manor Estates, a new Vancouver Island real estate development minutes from downtown Duncan in the Cowichan Valley. With Phase 1 nearly sold out, selling in Phase 2 has commenced. New homes in Phase 2 will sport the distinctive craftsman and heritage styles that proved so popular in Phase 1, but Phase 2 upgrades include several building lots backing onto green spaces, a no-through road, and a cul-de-sac. Prices for single-family residential lots range from $137,900 to $169,900, while two duplex lots are priced at $184,900 and $189,900. As Canada’s only Maritime Mediterranean climatic zone, the Cowichan Valley offers a unique, mild microclimate and the warmest mean year-round temperature anywhere in Canada. More than 20 wineries have planted roots here, along with an abundance of artisan producers, organic produce suppliers, and slow-food chefs. The residents of Stone Manor Estates relish the Cowichan Valley’s natural beauty and easy access to lakes, marinas, and recreational activities, without sacrificing the convenience of city living and close proximity to shopping, restaurants, schools, and community services in Duncan. stop by the open house at the Sales Presentation Centre, now open Saturdays and Sundays from 12:00 Noon to 4:00 p.m.